The all-new M1 driver takes multi-material construction to the next level to deliver distance, forgiveness and complete personalization. 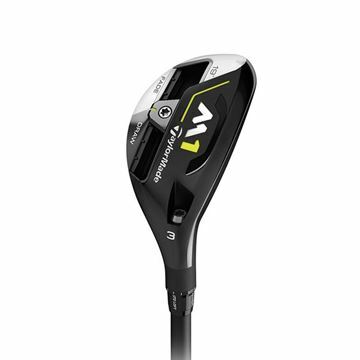 The all-new M1 fairway delivers power and personalization through multi-material construction and improved adjustability. The 2017 M1 Rescue™ Hybrid features improved distance and versatility with the first-ever sliding weight track in a Rescue club. With a moderate size, Tour-proven shape, and a newly designed sole, the new M1 Rescue™ Hybrid offers more playability from an increased variety of lies.